Sometimes, record collectors can be somewhat myopic and overlook great swathes of music. That has long been the case. It was certainly the case back in the late-sixties and early seventies. This was a golden age for music. Especially for anyone interested in classic rock, progressive rock and psychedelia. During this period, many record collectors gravitated towards the music being released on both sides of the Atlantic. Critics assured record collectors that this was where the best music was being released. In doing so, they were overlooking psychedelia and rock elsewhere in the world. As a result, record collectors failed to discover vibrant musical scenes in other countries. In Germany, the Krautrock scene was at the peak of its popularity; while some of the best progressive rock was being released Italy and Switzerland. Elsewhere, in Europe, and in across South America and Africa, psychedelia and rock was growing in popularity. Many groundbreaking albums were being released, and were selling in vast quantities. However, they failed to attract the attention of record collectors in Britain and America. Later, history began to repeat itself in the soul and funk community. Record collectors set out to find the best in American soul and funk. Some even bought cheap transatlantic tickets as they headed to the home of soul and funk. This was no surprise.There was a degree of competitiveness as DJs and collectors as they sought out the long-overlooked hidden gems. Some had been released by the most famous soul and funk labels, like Atlantic, King, Motown and Stax. However, many hidden gems had been released by small, independent American labels. Many of these labels were no longer in existence. Despite that, their releases were highly prized among collectors, and regularly changed hands for large sums of money. Those without deep pockets, resorted to crate digging in thrift stores, junk warehouses and backstreet record shops. Sometimes, collectors struck gold as they found a records issued by small, obscure labels. These finds quickly became popular and were soon, changing hands for large sums of money. Soon, the whole process began with another genre…disco. Soon, record collectors had turned their attention to American disco. Again they were looking for the hidden gems that had slipped under the radar. This meant looking through the myriad of disco singles released before the bubble hurst. Record collectors weren’t interested in the commercial releases that were two a penny. Neither were they interested in singles released by bandwagon jumpers or releases cash-in singles by third rate celebrities. Instead, they were looking for private presses, or singles released by regional labels. However, just like the soul and funk collectors, the focus was always on American releases. This was no surprise. Soul, funk and disco were born in America. Many record collectors, especially in Britain, thought that the best soul, funk and disco was released in America by American labels. As a result, very few record collectors even considered looking further afield for soul, funk and disco. They never even looked across the border to Canada, which was home to several successful disco production partnerships never mind halfway around the world. Little did these record collectors know that disco was popular in parts of Africa and South America. 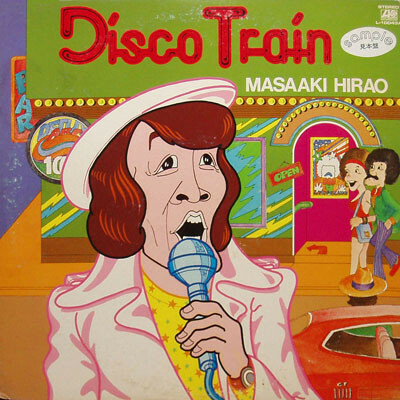 Similarly, disco was popular in Japan. So was soul and funk. However, very few people in Britain and America were aware of Japan’s burgeoning and vibrant soul, funk and disco scenes. 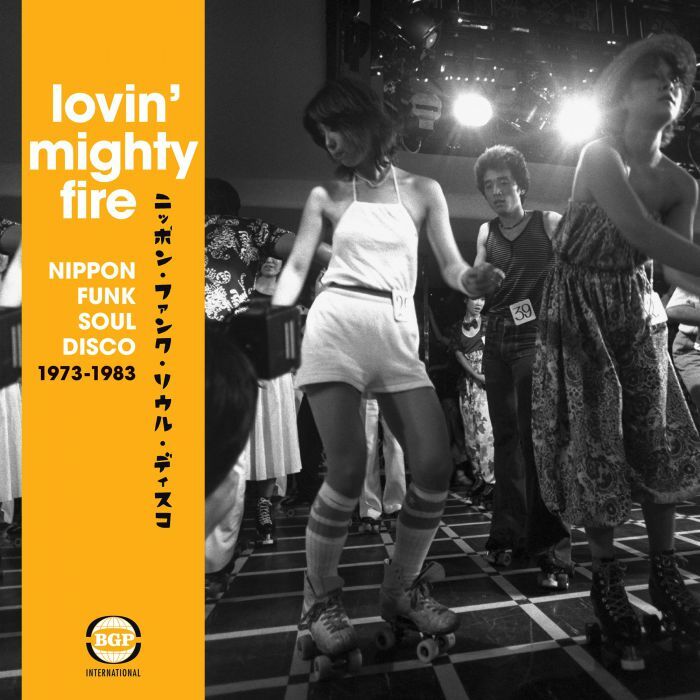 It was one of the best kept musical secrets, and until still was until BGP International released Lovin’ Mighty Fire: Nippon Funk, Soul, Disco 1973-1983. This fourteen track compilation is first official collection of Japanese soul, funk and disco to be released in the West. For newcomers to Japanese soul, funk and disco then Lovin’ Mighty Fire: Nippon Funk, Soul, Disco 1973-1983 is the perfect starting place. It features Lily, Rie Nakahara, Yasuko Agawa, Pink Lady, Junko Ohash, Mari Natsuki, Miyako Chaki and Ebonee Webb. They’re just some of the fourteen artists that feature on Lovin’ Mighty Fire: Nippon Funk, Soul, Disco 1973-1983. Lily was the stage name of singer-songwriter Kamata Saeko. 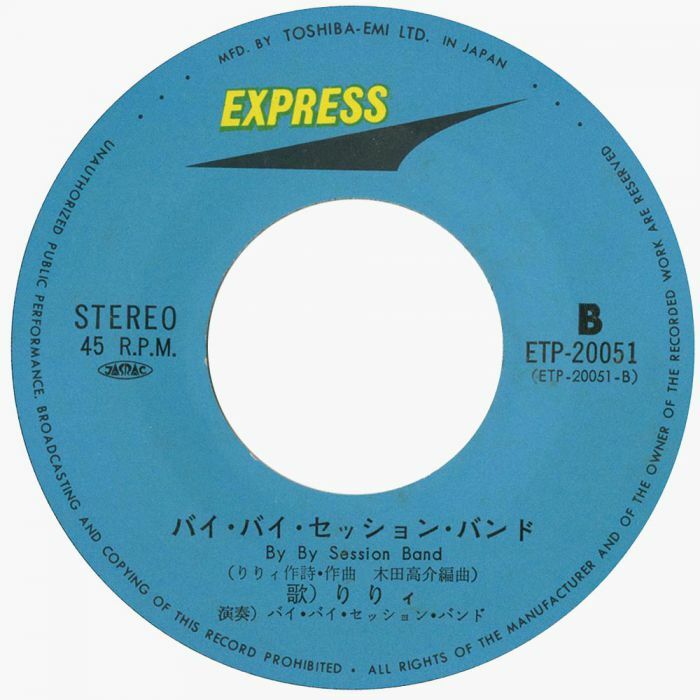 She opens Lovin’ Mighty Fire: Nippon Funk, Soul, Disco 1973-1983 with By By Session Band. 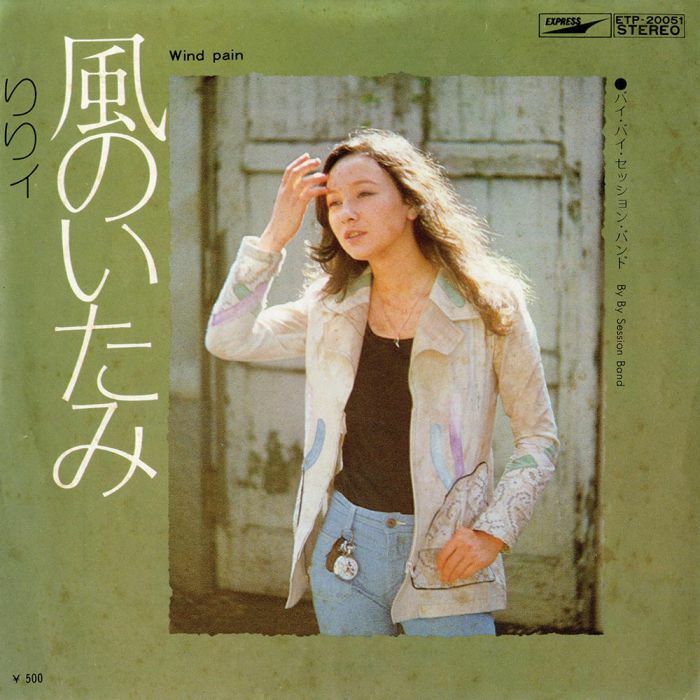 It was the B-Side to Lily’s fifth single Wind Pain, which was released by the Express label in 1974. By By Session Band is a real find. The arrangement is funky and heads in the direction, while Lily’s vocal is sassy and soulful. In 1978, singer, actress, and TV presenter Rie Nakahara released Disco Lady as a a single on CBS/Sony. Tucked away on the B-Side was the hidden gem Sentimental Hotel. It’s a lush and soulful slice of disco that would featured on Rie Nakahara’s third album Killing Me in 1979. Haruomi Hosono’s career began in 1969, when he was a member of Apryl Fool, one of Japan’s legendary psychedelic rock bands. Four years later, and Haruomi Hosono was about to embark upon a solo career. 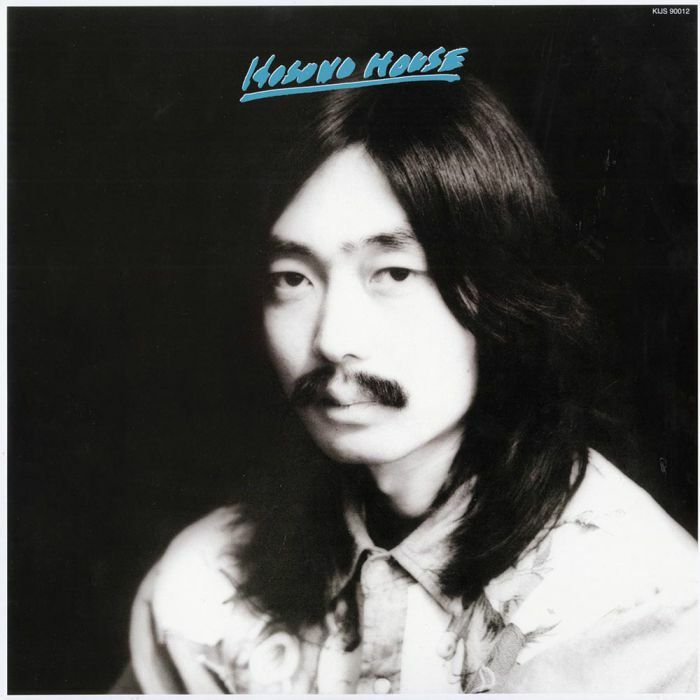 He had signed to Bellwood Records, who were about to release his debut album Hosono House. The eleven songs had been written, recorded and produced in Haruomi Hosono’s home studio. This included the genre-melting ballad Barato Yajuu. It features a heartfelt, soulful vocal while the carefully crafted arrangement combines of folk-rock, funk, pop, soul and even a hint of psychedelia. When this is combined, the result is a quite beautiful, timeless ballad. Originally, Yasuko Agawa started out as an actor. Later, she started singing in a jazz band. This proved to be the start of Yasuko Agawa’s musical career. 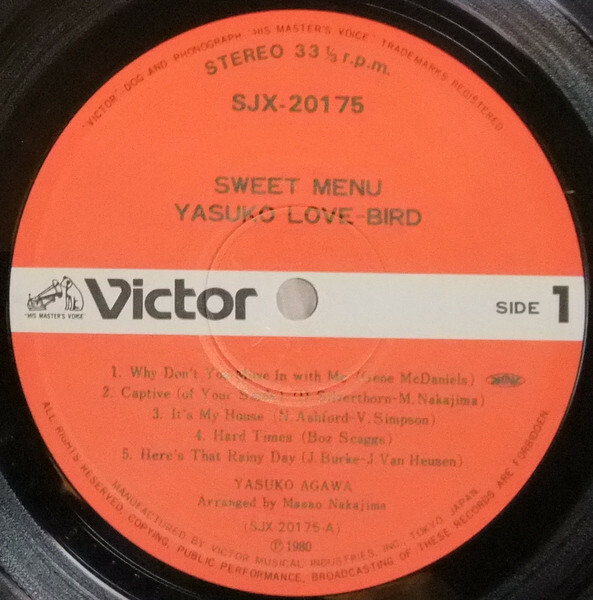 By 1980, she was about to release her third album Love Bird on the Victor label. Opening Love Bird was Why Don’t You Move In With Me, which was funky, soulful and dance-floor friendly. Thirty-seven years later, and it would still fill a dance-floor. Pop duo Pink Lady released their debut single in 1976. Three years later, they were one of Japan’s biggest disco acts. When Pink Lady released Zipangu in March 1979, it reached number four in the Japanese charts and sold over 250,000 copies. Hidden away on the B-Side was Jiken Ga Okitara Bell Ga Naru (When A Bell Rings Something Happens). Pop, funk and Euro Disco are combined by Pink Lady on this slick sounding track. 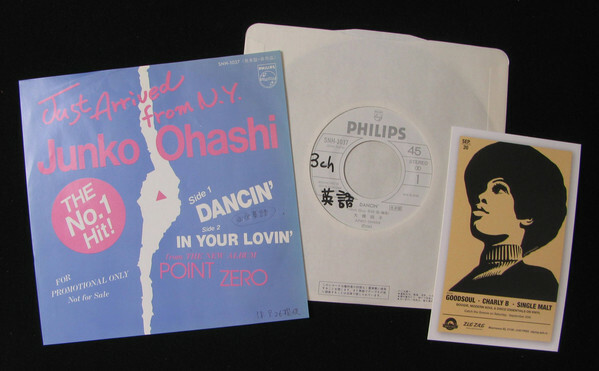 For her fourteenth single, Yuko Asano decided to cover Sergio Mendes’ Summer Champion. It was totally transformed, and given a disco makeover. Swathes of strings and bubbling synths accompanied Yuko Asano’s tender, soulful vocal. This looked like the recipe for a another hit single. However, Summer Champion stalled at forty-eight in the Japanese charts. Despite not reaching the upper reaches of the charts, this memorable slice of soulful disco sold over 50,000 charts and gave Yuko Asano another hit single. 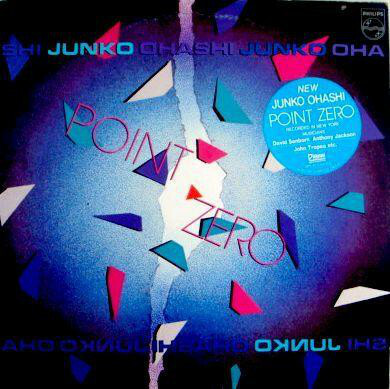 When it came to recording her tenth album, Junko Ohashi decided to record Point Zero in New York. It was produced by Junko Ohashi’s husband Ken Sato and featured some top musicians. This included former M.F.S.B. bassist Anthony Jackson. Once the album was completed, Point Zero was released by Phillips in 1983. Dancin’ was chosen as the lead single. It showcased the boogie sound, which had grown in popularity in the post-disco era. A year later, Dancin’ a funky slice of boogie featured on Magical, which was a compilation of some of the highlights of Junko Ohashi’s career so far. 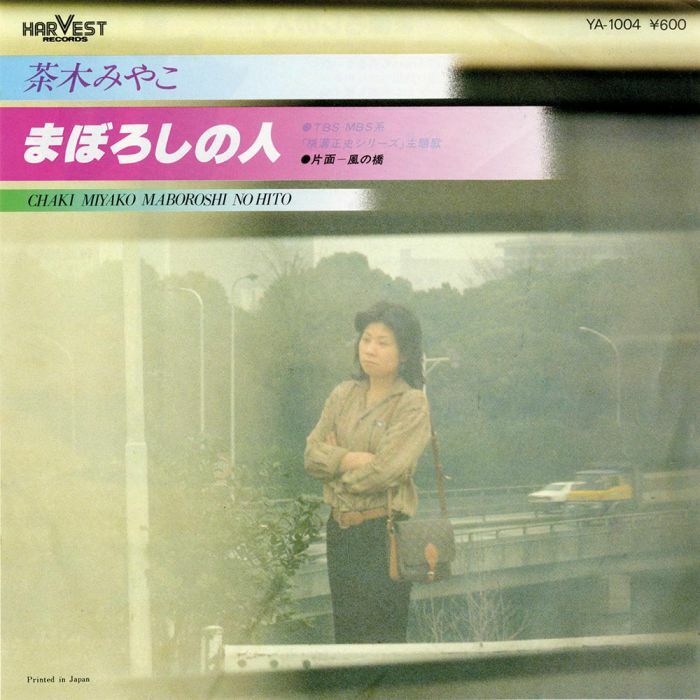 Anyone familiar with the Vertigo label discography will know Masayoshi Takanaka’s name. He was a member of the progressive rock band Fried Egg, who released two albums on Vertigo. By 1981, guitarist and producer Masayoshi Takanaka was a successful solo artist. He had just released a new album, The Rainbow Goblins. 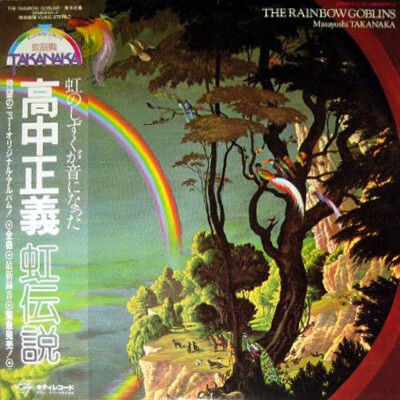 One of the album’s highlights was Rainbow Paradise a dance-floor friendly slice of fusion which featured a guitar masterclass from Masayoshi Takanaka. Former teen idol Mari Natsuki was twenty-four when she recorded Uragiri in 1976. It was the ninth single she had released since adopted the moniker Mari Natsuki. This allowed her to change direction musically. Mari Natsuki wanted to release music that featured tough, funky arrangements and a sensual vocal. That was the case on Uragir, where lush strings accompany Mari Natsuki as she delivers a breathy, sensuous vocal. Alas, when it was released in 1976, it failed to find audience. Uragiri was the one that got away for Mari Natsuki. After releasing five solo singles, commercial success continued to elude Miyako Chaki. That was about to change in 1977, when she released her sixth solo single Maboroshi No Hito on Harvest Records. Maboroshi No Hito was the theme to a popular television drama The Inugumi Family. When Maboroshi No Hito single was released, it reached thirty-three in the Japanese charts and sold over 70,000 copies. This beautiful, heartfelt, soulful ballad was a game-changer for Miyako Chaki. 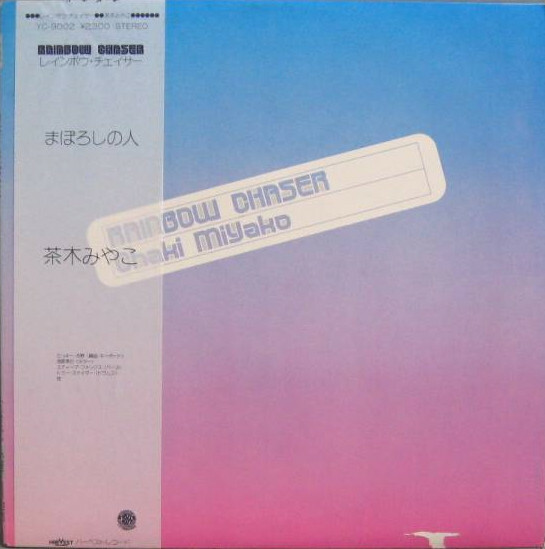 Later, in 1977, Maboroshi No Hito featured on Miyako Chaki’s third album Rainbow Chaser. However, this was a different version to the original, which transformed Miyako Chaki’s career. 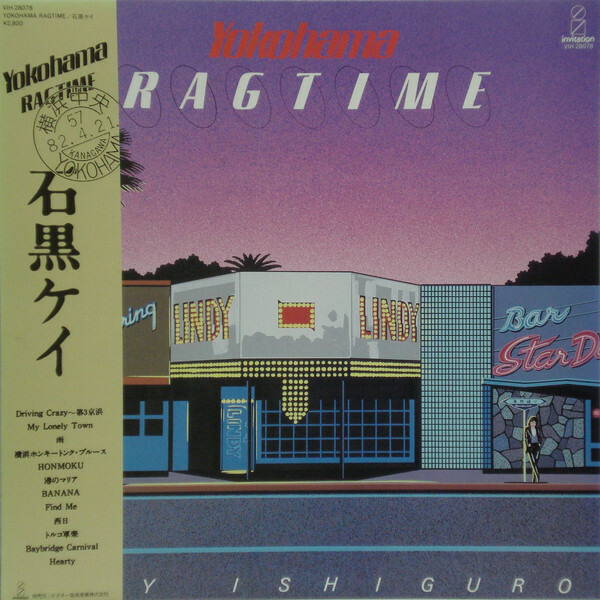 Five years after releasing her debut single, Kay Ishiguro released her seventh album, Yokohama Ragtime. It was released on the Invitation label in 1982. One of the songs on the album was Banana. Hooks haven’t been rationed on a funky sounding slice of J-Pop. Masaaki Hirao’s career began in the fifties, during the rockabilly era. Over twenty years later and he released the album Disco Train, on Atlantic in 1976. The title-track was released as a single later in 1976. Tucked away on the B-Side, was another track from Disco Train, Funky! “Miyo” Chan. It was originally released in the sixties. A decade later, and the song has been reinvented and sounds as if it’s been heavily influenced by Herbie Hancock’s 1978 single I Thought It Was You. Suddenly, this familiar song is revitalised as Masaaki Hirao seamlessly fuse funk, fusion and soul. In 1978, Ebonee Webb, an eight piece funk band from Memphis, Tennessee enjoyed a hit single in Japan with Disco Otomisan. Determined to build on this success, Ebonee Webb recorded their sophomore album Memphis Soul Meets Japanese Folk Songs. It was released on the Seven Seas label in 1979, and featured Yashow Macashow. The song was given a makeover by Ebonee Webb, who combined rock, funk and fusion, jazz with uber soulful vocals. 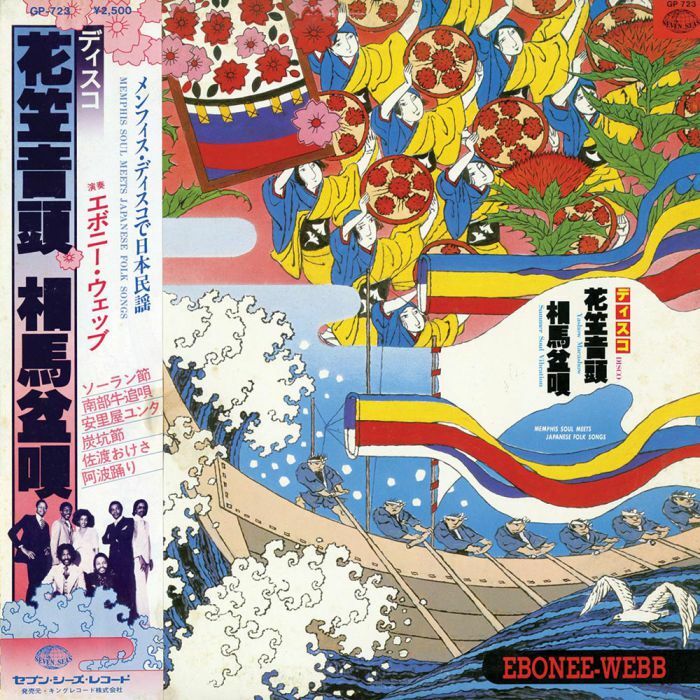 This resulted in one of the highlights of Memphis Soul Meets Japanese Folk Songs, which saw Ebonee Webb’s popularity soar in Japan and the Far East. So much so, that Capitol Records signed Ebonee Webb. 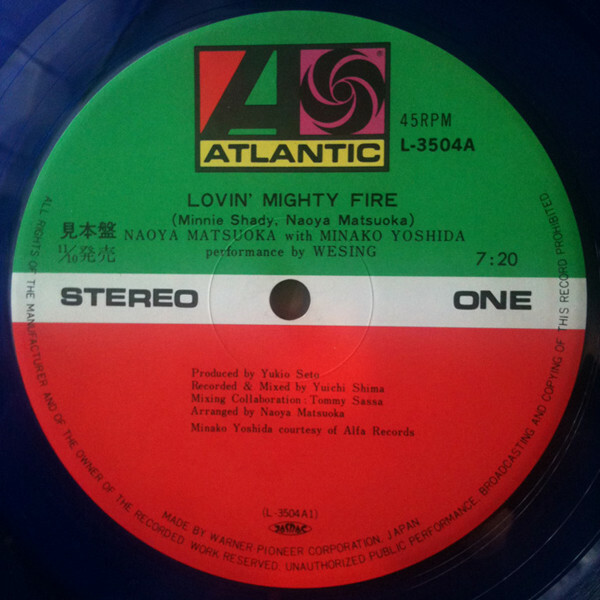 Closing Lovin’ Mighty Fire: Nippon Funk, Soul Disco 1973-1983 is Naoya Matsuoka and Minako Yoshida’s 1979 single Lovin’ Mighty Fire. It was released by Atlantic, and was a collaboration between celebrated keyboardist Naoya Matsuoka and vocalist one of Japan’s top female vocalists, Minako Yoshida. This proved to be a potent partnership. Almost seamlessly they combine and switch between funk, fusion, electro and soul. In doing so, they create a melodic hook-laden track that ensures Lovin’ Mighty Fire: Nippon Funk, Soul Disco 1973-1983 ends on a memorable high. For anyone looking to for an introduction to Japanese soul, funk and disco then Lovin’ Mighty Fire: Nippon Funk, Soul Disco 1973-1983 is the perfect starting place. It was released by BGP International, an imprint of Ace Records and features fourteen tracks. There’s fourteen songs on Lovin’ Mighty Fire: Nippon Funk, Soul Disco 1973-1983. This includes Lily, Rie Nakahara, Yasuko Agawa, Pink Lady, Junko Ohash, Masayoshi Takanaka, Mari Natsuki, Miyako Chaki and Masaaki Hirao. They were some of the biggest names in Japanese music between 1973 and 1983. Some of the other artists didn’t enjoy the commercial success that their music deserved. These songs are best described as hidden gems. Thus is what many DJs and record collectors spend half their life looking for. However, until relatively recently, very few collectors of soul, funk and disco looked towards Japan. That has all changed. Now record collectors realise that there’s a huge amount of music awaiting discovery in Japan. The music on Lovin’ Mighty Fire: Nippon Funk, Soul Disco 1973-1983 is a tantalising taste of that music. Tagged: Ace Records, BGP International, Lovin' Mighty Fire: Nippon Funk Soul Disco 1973-1983. ← INNA DE YARD-THE SOUL OF JAMAICA.